When it comes to executive and sports cars from Italy, two very renowned names come to a car lover's mind: Lamborghini and Ferrari. Through decades two of these super car brands have been striving to make it to the top slot and have been giving some real nice and powerful machines to their consumers around the world. Both the companies are often mentioned the same yet both have different tastes in automobile manufacturing. Ferrari came into being as a car manufacturer in 1947 when the first of its product came into being. The 125S was a concept of Enzo Ferrari that he introduced to mark his career as an industrialist. By that time, Enzo Ferrari was running a car racing team. The racing team gradually turned into a sports car Brand name and is one of the most renowned car manufacturers of the date. Lamborghini was launched into the arena in 1964 with the 350GT under the supervision of Furriccio Lamborghini who himself was not really happy with the first of his products. Furriccio's dream was to build a machine as good as the Ferrari but was disappointed by the very performance that they made. The owner along with his company strived for years to attain the position that it holds now as being more or less of the same status as Ferrari. Now, Lamborghini products can be set in a competition with the Ferrari ones. The top of the list production of Ferrari these days is a V12 Powered Enzo Ferrari named after the founder of Ferrari. 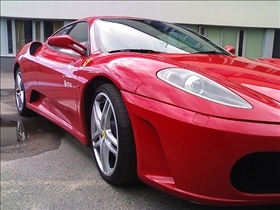 This super car was built back in 2002 and ever since then the company has been improving the performance. It reaches up to 60mph in 3.14 seconds and 100mph in just 6.6 seconds. Lamborghini's product range in 2009 included mid engine 2-seater sports cars: this include the V12 Murcielago LP640, LP640 Roadster and LP670-4 SV. 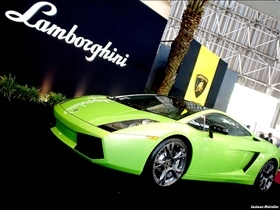 The product range also constitute of the V10 Gallardo LP560-4 and Spyder. In terms of revenue, Ferrari is at a much better state then the Lamborghini. Its revenue is 1921 million Euros compared to Lamborghini's 37.70 million Euros. In addition to this, through all the history, Ferrari has been doing better sales compared to its competitor Lamborghini. Just by comparing the time period after 2003, one would notice that Ferrari had been producing and selling three times the units that Lamborghini has produced. As of 2008, Ferrari produced 6587 units compared to Lamborghini's sale of 2430 units only. If racing is your passion and you want a powerful car to run as fast as the speed of light, Ferrari should be your choice. If exotic looks is all that matters to you when selecting a car and speed or power is the secondary factor, Lamborghini with its exotic interiors and exterior is your type. Which is your dream car? Lamborghini has a more exotic edge. Cibbuano, Yes, a style shark it is! Ohhhh, what I'd do to sit in the bucket seat of a Miura and grip that small, but thick girthed steering wheel with a pair of black suede gloves on and a pair of 1950s designer shades on my face, then gun the engine, ease one gloved hand down the inner thigh of my Mediterranean lover, then back up over the gear stick, foot pushing down ... and ROOOOAAARRRR!!!! If you're longing to own a suit of Antonio Gates Jersey, not wonder our shop are your best choice. Our shop are the first-rate provider among those competitors in sales. Click Eric Weddle Jersey to order other kinds of Jersey. yes never ever ever ever ever ever ever ever ever ever ever ever ever ever ever ever ever ever ever ever ever ever ever ever ever ever ever ever ever ever ever ever ever ever ever ever ever ever ever ever ever ever ever ever ever ever ever ever ever ever ever ever ever ever ever ever ever ever ever ever ever ever ever ever ever ever ever ever ever ever ever ever ever ever ever ever ever ever ever ever ever ever ever ever ever ever ever ever ever ever ever ever ever ever ever ever ever ever ever ever ever ever ever ever ever ever ever ever ever ever ever ever ever ever ever ever ever trust Ferrari.